This was an interesting article to read right before graduating and becoming an industry member. 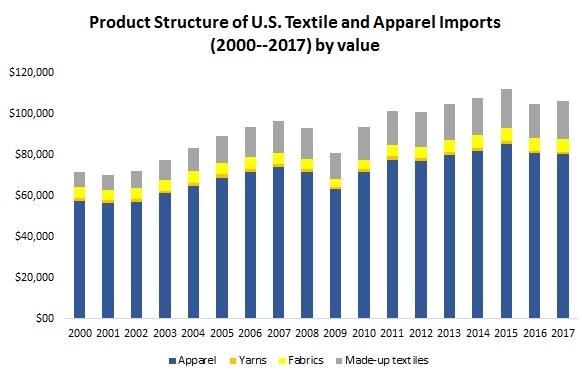 I believe its vital to understand the different growing trends of the US Textile and Apparel Industry before going into a career where you could make contributions to these trends, or make solutions to dull the trends. 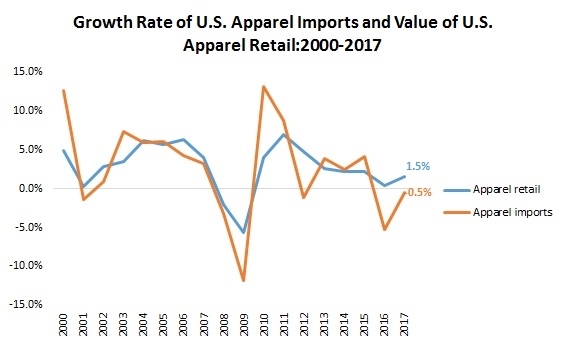 One statistic in particular that stood out to me was that ” U.S. apparel imports overall mirror the pattern of apparel retail sales in the U.S. market”. 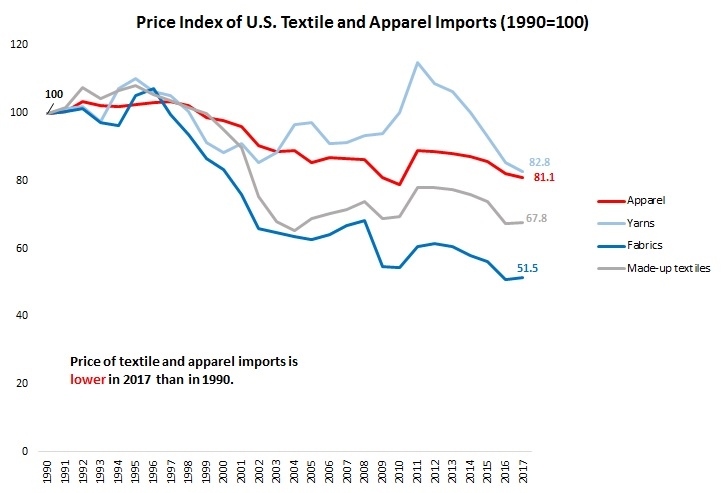 I found this intriguing because I always assumed with the constant talk of how the US should focus on making more textiles and apparel within our country, that the retail sales would boost. Its interesting to me that there is interest in foreign apparel products although there is such a verbalized need for in country production from higher leaders of our nation. This can be linked to another phenomenon that us trade deficit expands when the economy grows fast. Demand drives imports. As the NAFTA is currently being renegotiation under the Trump administration I am anticipating how this will affect US apparel imports. Trade with Mexico and Canada under the NAFTA allows US apparel companies to outsource their products but also have speedy production lead times. I think that US trade with Mexico and Canada has progressively increased as fast fashion has driven the market. Fast fashion companies demand speed to market with short lead times between the design of the product to its arrival in stores that factories in Mexico and Canada “nearby” sourcing can provide. I am curious to see how these negotiations will ultimately affect consumers through fashion trends and product pricing. Despite the fact that NAFTA is currently being renegotiated, I found it interesting that U.S. imports from Mexico and Canada are still on the rise. 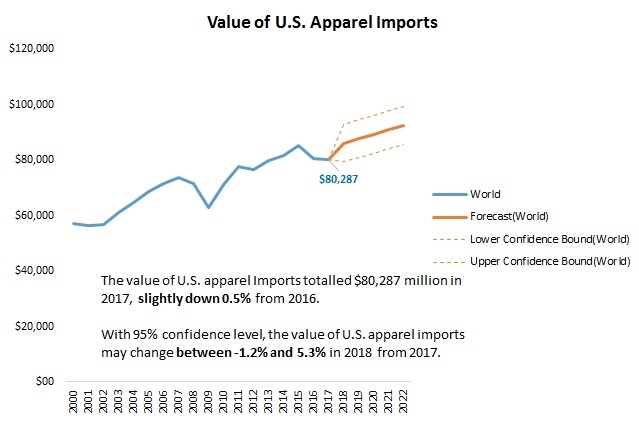 Additionally, even though the U.S. has decreasing exports, they are beginning to diversify their imports, which may have future repercussions. 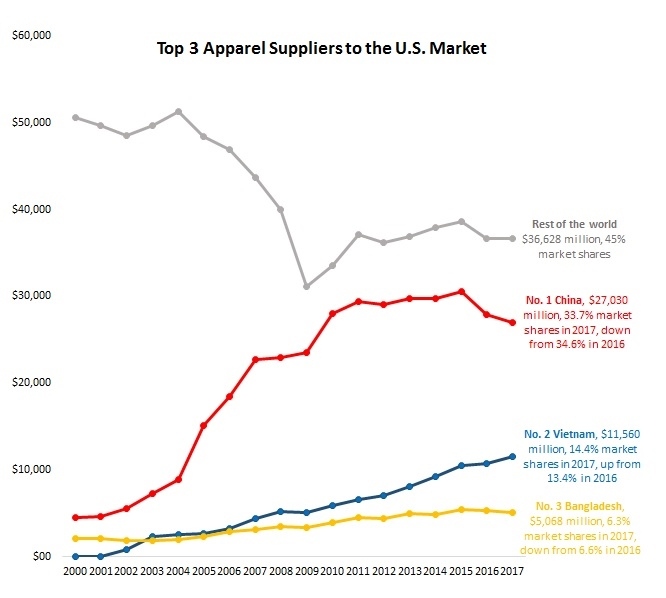 I am interested to see how these factors play into the U.S.’s newer role of being a top apparel/textile consumer and not manufacturer. Mentioned in the article, the US is not a major manufacturer of apparel for a period of time. 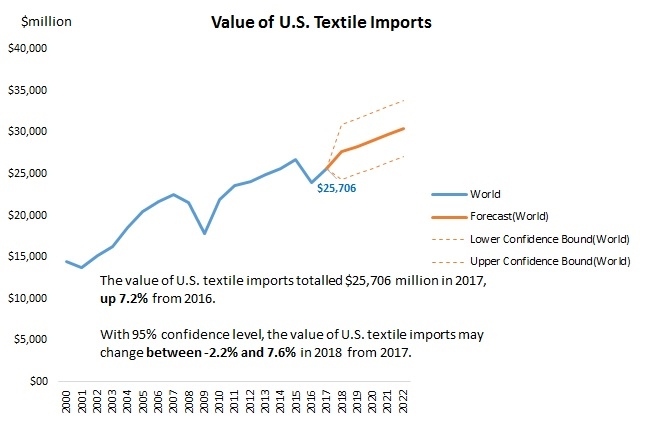 However, president Trump are now dealing with a trade war between China and the main purpose is to restore the US textile and apparel industry. The question is that will there be an ironic situation of the government with the companies to restore their business back to the US but the wage is too high for the companies to afford. Along with the negative impacts of the trade war, would this scenario turn into a more serious problem?